If you’ve never used a fountain pen before, or if, much like me, you are prone to losing pens left, right and center, you might want to go for a cheap version. Luckily, there are quite a few pens in the lower price range, which also provide excellent quality and pretty handwriting. Although they may not be what you would class as ‘cheap’, for a fountain pen, $50 is not a great deal of money. Most of the following pens would make an excellent gift for a young person, and may begin a love affair with fountain pens and ink that would last a lifetime. Alternatively, they are also good pens for enthusiasts who want a nice pen for special occasions but don’t use them often enough to justify a large expense. This starter pen set has one Parker Urban Black Fountain pen. In addition, it has an ink bottle, a cartridge converter, and four filled cartridges (two blue, two black). If that wasn’t enough value for money, it also has a small booklet that provides guidance on transitioning to a fountain pen. 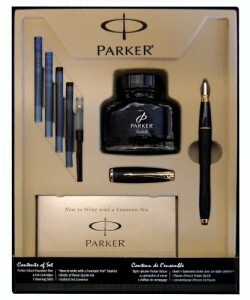 Parker is, of course, an old brand and has been making pens for over a century, so the quality is guaranteed. Not only does this make a beautiful gift to give a young person, you can but this as a treat for yourself if you’ve decided to start using fountain pens. I’ve included this because it is simply beautiful to look at, in addition to being a decent quality pen. The pen is quite bulky, so it might not be good for first timers. After your hands get used to lightweight ballpoints, a fountain pen tends to feel heavy anyway, and a bulky one can be a turn off. But for those who prefer bulky pens, this is quite the fit. The golden dragon design is simply gorgeous, and the gift box makes it an ideal gift to any pen enthusiast. This is a perfect beginner calligraphy set. 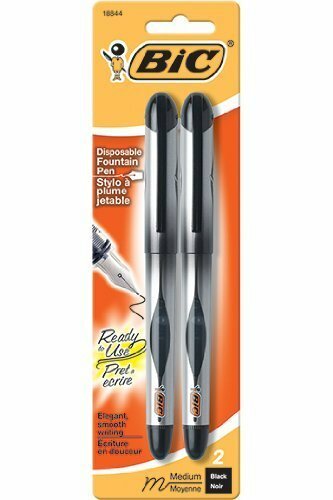 Lamy makes reliable but reasonably priced pens, which allow them to be a good choice both for a starter pen or a good everyday use pen. This set has three interchangeable nibs, of differing widths (1.1, 1.5 & 1.9 mm chisel point nibs). In addition, because this is a starter set, it comes complete with a very handy booklet with instructions. There is also a set of cartridges included, and a metal gift box that it is delivered in. If you’ve always wanted to learn the beautiful art of calligraphy, this is a superb place to start from. Sheaffer fountain pens are known to be extremely high quality, and are often pretty expensive. However, this is one example of a high quality fountain pen at a very affordable price. The casing is metal and colored matte blue, which in contrast to the classy silver of the grip, nib and clips, it all looks very handsome. The nib is medium wide, although writes a bit thicker than you might expect. 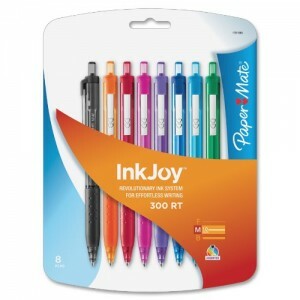 It comes with a converter cartridge which can even be filled up with your own ink. While the most expensive fountain pens can set you back thousands of dollars, there are quite a few fountain pens of excellent quality that are available for under a hundred dollars. The following selection consists of pens from major famous fountain pen companies, so quality is definitely guaranteed, regardless of which you buy. What remains are merely differences in details and personal preference. This beautiful pen is from the famous company, Waterman. The pen itself is made of brushed stainless steel, making it slightly heavy, and in addition it has 23K gold trims. In contrast, the handle area is made of black, which looks fabulous against the silver of the steel and the gold tips. The nib style allows a fine stroke, and the effect is one to grace any handwriting. Not only does this set include a gorgeous Sheaffer high quality fountain pen, but it also includes ink cartridges. In appearance, this is the pen on the list that I would personally pick if I needed another pen. The gorgeous matte finish black of the body looks startlingly handsome in combination with the 22K gold plated edging. In functionality too, this wins; the writing of the Sheaffer nib, slightly thick in this case, is exactly the kind I prefer. There are also grip pads at the side of the pen, which allow easier and better grip. While Pelikan is not as famous a company as the others on this list, this pen makes up for that by being both classy in appearance and excellent in use. The fine point nib is great for those who prefer that style of writing pens, and the green band on the black body make it look very stylish. There is a piston filling mechanism for ink filling. This is probably the lightest pen on the list here, but the design makes up for it. In addition there are also 24K plated gold rings incorporated into the design, which is the highest karat of gold plating on this list. Despite that, this is an everyday pen for use in all situations, adding a bit of class to all your written communications. How could this list be complete without a Parker? The company has been my favorite for the past several years. This Sonnet pen is part of a range of gorgeous Parker pens that have all the distinct sophistication of the brand, and in addition a beautiful and classical feel to each. This is also stainless steel, like the Waterman above, and similarly the gold trims are 23K. In fact both pens look quite similar, except the Waterman is slimmer in design and the Parker Sonnet has a chunky feel to it. The nib in this pen is also gold plated, which adds to its beautiful design. A wholly exquisite pen. 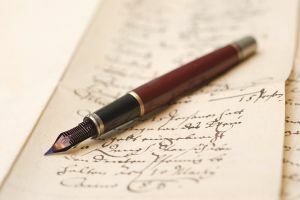 Using a fountain pen may seem to be kind of old fashioned; However, some people can’t get enough of the retro feel and smooth flow of ink every time you stroke your fountain pen on a piece of paper. Many people tend to stick with it even though various kinds of writing tools are available. Aside from its ink mechanism, fountain pens are also more affordable compared to other pens since it’s refillable. 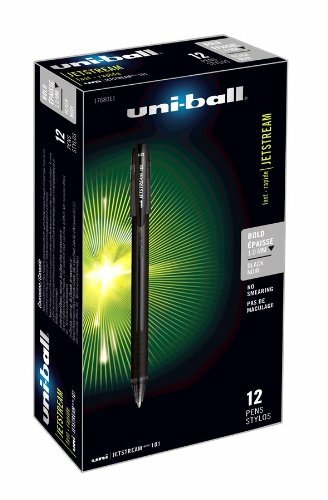 This means that you can use it for much longer time unlike other disposable ball pens which can’t be used anymore once the ink has run out. To fully use a fountain pen effectively, one must first understand its different components and the purpose of each. In basic terms, a fountain pen is composed of 3 main parts which are visible to everyone- the cap, nib and barrel. The Cap is the part you remove so the nib can be exposed. It can either be snapped on and off or screwed depending on your model of pen. The pointed part where the ink comes out is called a nib. It can also be flat at times especially when it comes to the finer arts of using pens such as calligraphy. And lastly, the barrel covers the remaining parts of your pen. Once you’re able to familiarize yourself on this, it would definitely be easier to use a fountain pen. After familiarizing with the internal parts, it would also be helpful if you’d know its internal parts and the kind of ink reservoir it uses. Ink reservoirs can vary and generally come in three different variations. Piston converter, Cartridge and Ink bladder. 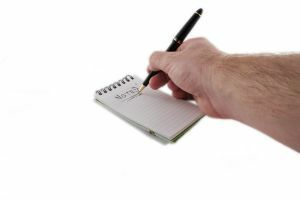 Once you have come to understand the purpose of each part, try to practice writing using your fountain pen. 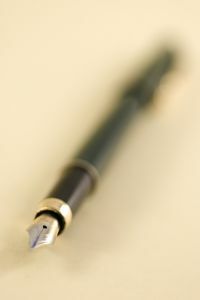 In holding the pen, you should decide whether to have the cap attached onto it while writing or remove it because it can affect the way you balance and control the pen. 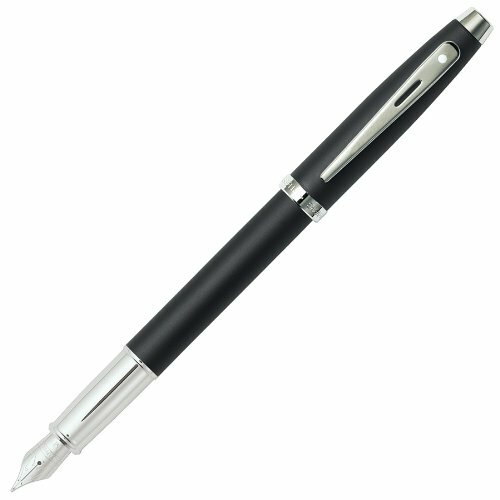 To write comfortably using the fountain pen, it would be better if you’d be able to hit the sweet spot where the nib’s tip dispenses ink smoothly because if not, the nib may feel scratchy and a little unpleasant. Like fingernails down a chalkboard. Generally, learning how to write using a fountain pen isn’t that hard and confusing after all. It’s all about finding the sweet spot where the nib of your pen can smoothly dispense ink on the paper. However, what’s challenging is that you have to sustain writing on the sweet spot by controlling and balancing the whole pen so as to create the best handwriting possible. Now if you are someone who’s used to writing ball pens, learning how to write without any pressure would definitely be a great challenge for you as fountain pens aren’t intended for that. Just simply guide the pen using your arms, muscles and fingers and the ink will automatically come out. Also, keep the elevation and rotation of the pen constant. No need to push too hard just to make the ink of your writing darker. Doing this will only ruin the alignment of your nib so it’s not really advisable for you to put pressure while you’re writing on the surface of the paper. This is probably the hardest element of mastering a fountain pen.